Sheena Allen is from small town Mississippi where there’s no start-up culture. When she first started building apps, she had no knowledge of coding and no support - just her curiosity. 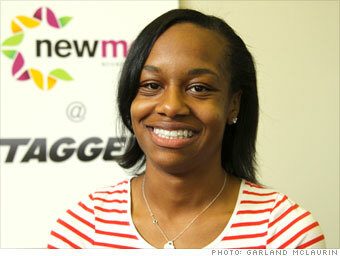 Fast forward to today, she has created eponymous mobile application company with over two million downloads! You can find her on the App Store where she is RedefiningHERstory! Tiffani Bell was one of the eight perspectives in Soledad O’Brien’s Black in America series. She understands the lack of representation in the entrepreneur world and is working towards increasing exposure for young black women interested tech through programs such as NewMe Accelerator, which she was once a part of. As a Howard University alum, Tiffani Bell is RedefiningHERstory in and outside of Silicon Valley! Hadiyah Mujhid immediately noticed the lack of black demographic in the tech industry. Once she heard that there were less than 1% black entrepreneurs, she knew she had to create more opportunities in any way possible. Today, her company, Black Founders, hosts events and meet-ups! A woman who is not only RedefiningHERstory but those of her community too! Follow her on Twitter at @Hadiyahdotme. Jerelyn Rodriguez is Redefining HERstory as the co-founder and CEO of The Knowledge House, a non profit tech start up in the South Bronx. The Knowledge House is a place where kids and young adults from the predominantly Black and Latino neighborhoods of The Bronx and NY can learn to code, gain experience in an exciting internship and/or learn some cool new skills. It is all about increasing opportunities and jobs! This AfroLatina is doing big things in a borough that isn’t always recognized for the immense amount of talent found within it. Ms. Rodriguez aims to change this perception by providing opportunity AND fun! You can learn more about their programs at TheKnowledgeHouse.org. Ayori Selassie is one of the top product managers at SalesForce today. She is a huge advocate of women in technology and STEM education. To provide opportunities that weren’t available to her as a young women, Selassie has created Pitch Mixer, which helps women to pitch ideas and gain investors, and Black Women in Computing, a much needed network of women of color. She is RedefiningHERstory and paving the road for young women to follow! Follow her on Twitter at @iayori.